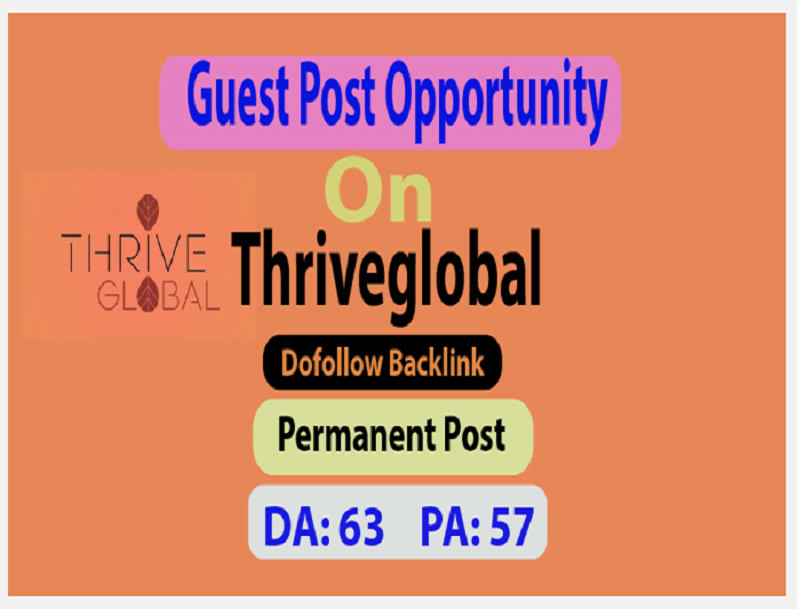 In this service I am offering you a guest post opportunity on Thriveglobal. The Thriveglobal is a high ranked US-based premium site.Which having high DA PA. If you make a guest post on this site you can get a huge visitor and its dofollow link will help to increase your site domain authority. You have to send me a fresh genuine content and It must need to be more than 500 words. If you have not content left me a short message. So don't miss this guest post opportunity on Thriveglobal. Note: For living post thriveglobal take more than 25 days.